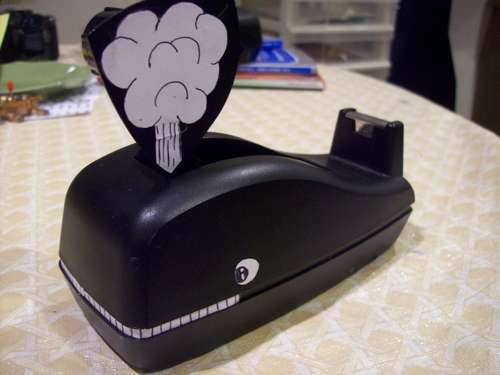 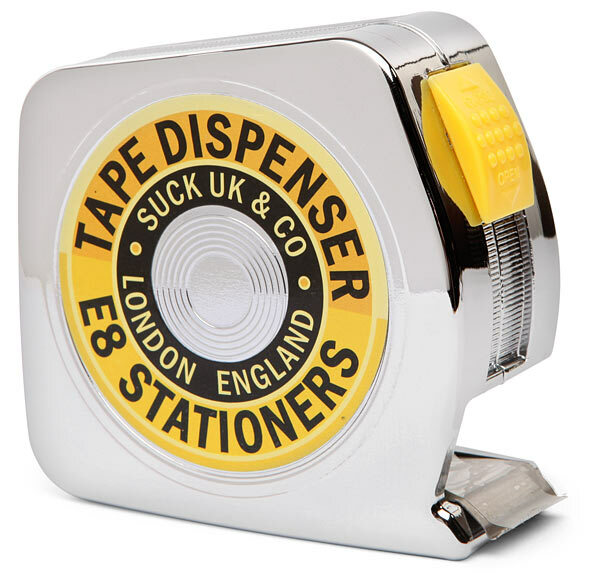 If you had enough using those old-fashioned tape dispensers, then maybe one of the following tape dispensers will appeal to you. 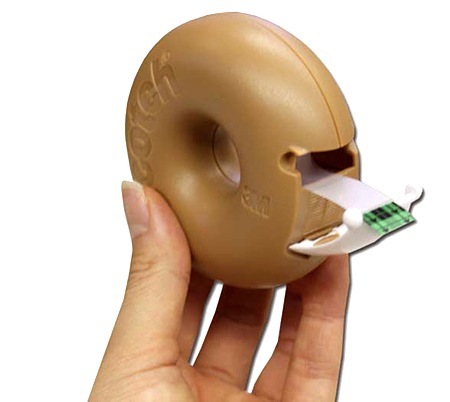 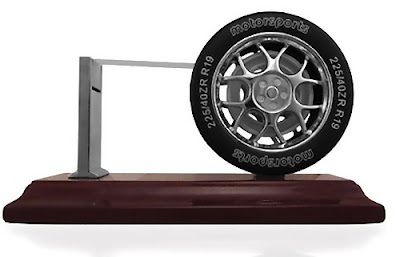 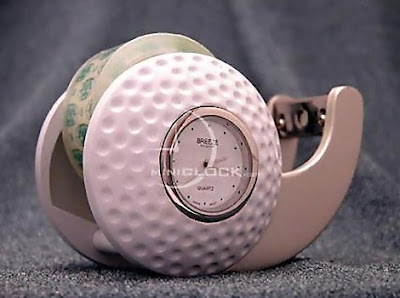 Measuring Tape Dispenser: A tape dispenser shaped like a tape measure. 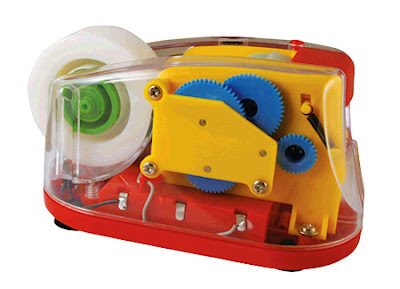 Colorful Automatic Tape Dispenser: The transparent case lets you see the inner workings in action. 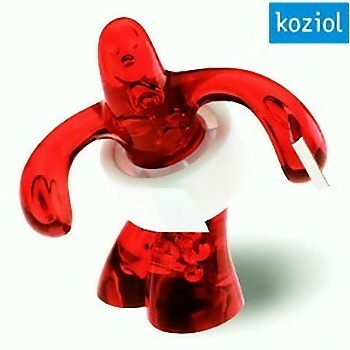 Koziol Tape Dispenser: It holds the tape roll around his waist, and has a metal edge held in his hand enabling you to cut exact lengths of tape every time with ease. 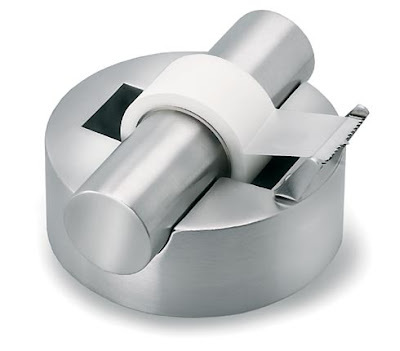 Folle Stainless Steel Tape Dispenser: This tape dispenser weighs about one kilo, which makes it a one-hand dispenser. 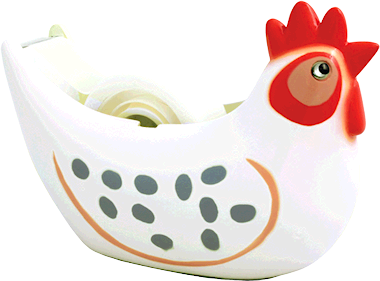 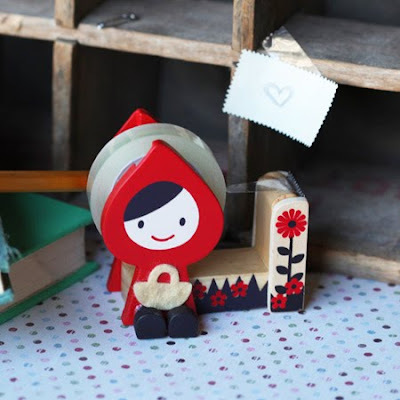 Parrot Tape Dispenser: It's made of wood, hand carved and painted and just adorable! 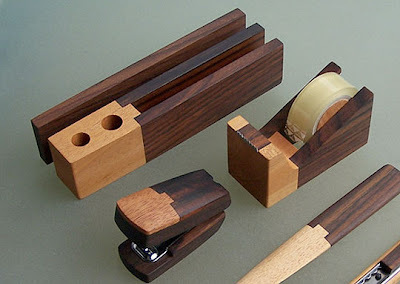 Wooden Tape Dispenser: It's a part of 'Magno Desk Set by Singgih S. Kartono' which is made from java ebony, mahogany, and pine. 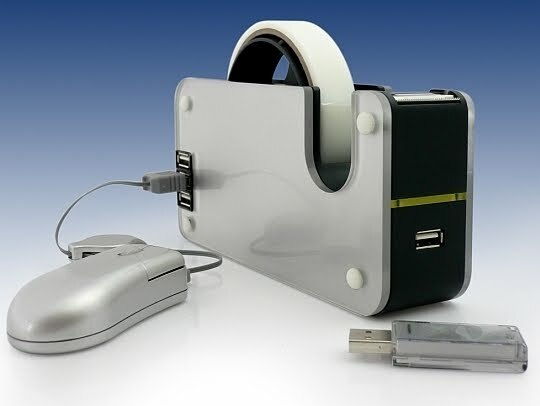 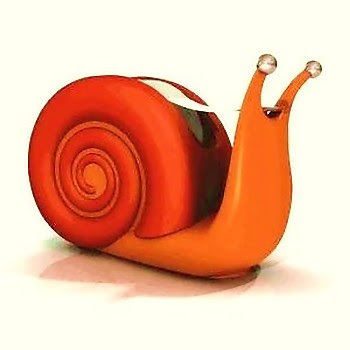 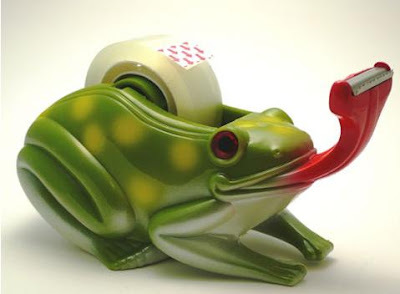 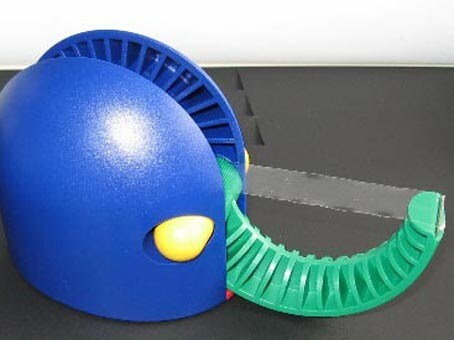 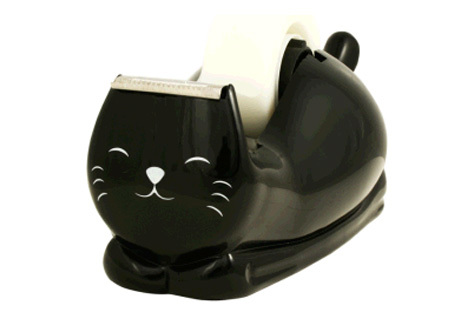 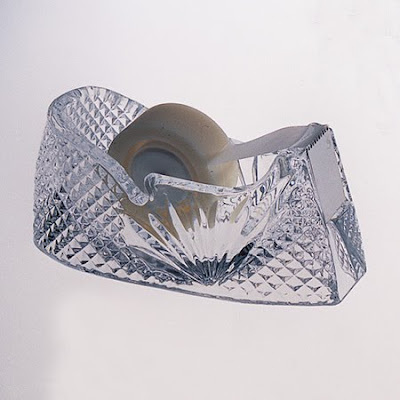 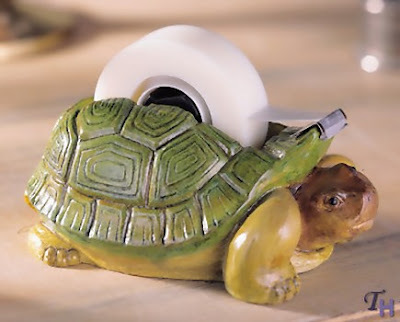 Abrollding Tape Dispenser: This one certainly looks cool, but it takes two hands to use. 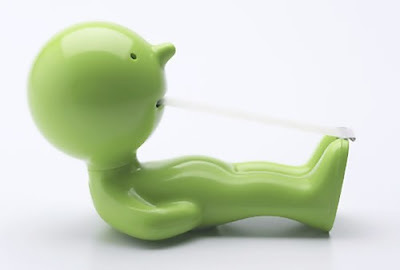 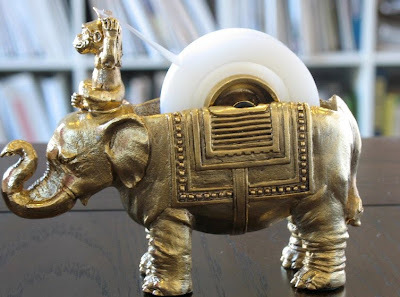 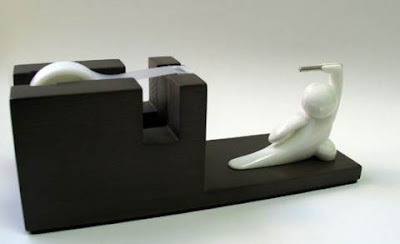 Elephant and Monkey Tape Dispenser: Each of these is unique and hand-made, designed by Iomoi and custom made by a New York sculptor. 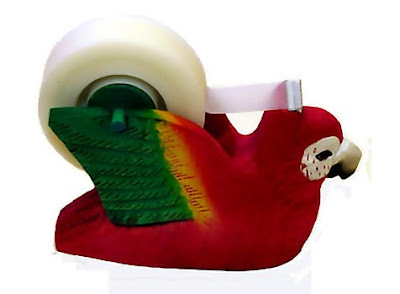 Mr. P Tape Dispenser: "The tape rolls out from Mr. P's mouth like a never-ending piece of tongue that can be torn off at his feet." 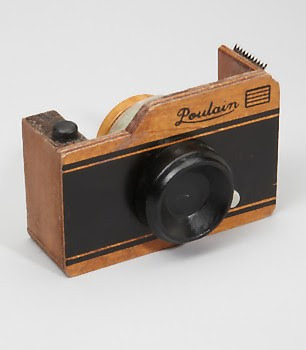 Wood Camera Tape Dispenser: This tape dispenser is shaped like a vintage film camera. 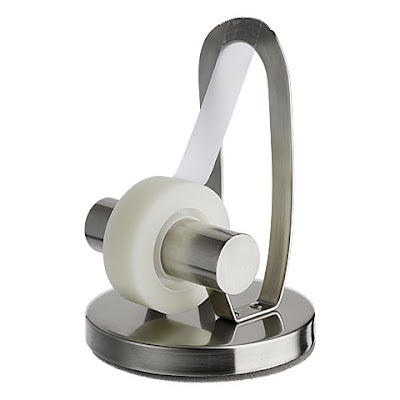 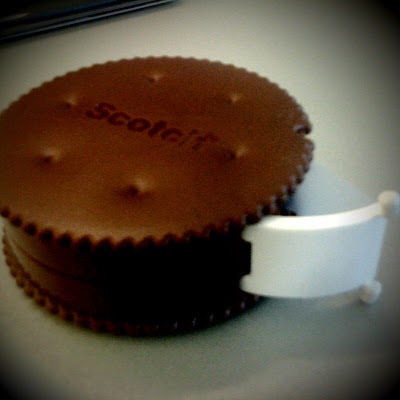 Oreo Tape Dispenser: It looks just like a biscuit. 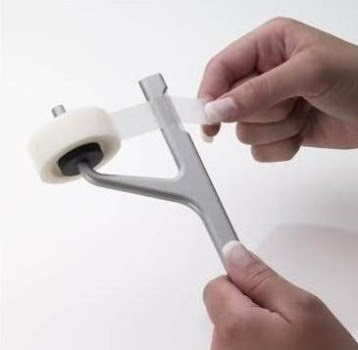 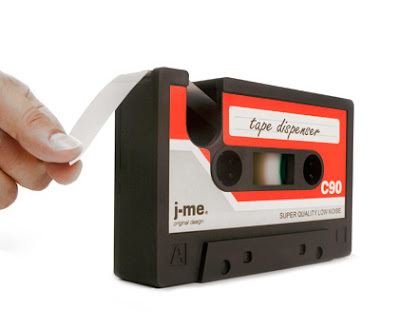 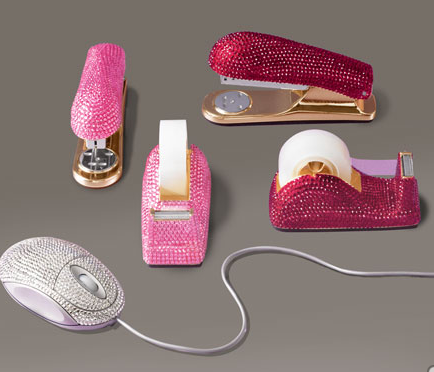 On the Cutting Edge of Tape Dispenser: The new tape dispenser cuts tapes in a straight line.